Grease 9x13 inch dish with cooking spray. Toast each strudel per directions on the box and lay them flat in the dish. In a bowl, beat together cream cheese and sugar until smooth. Beat in vanilla, white chocolate and eggs. Pour mixture over Toaster Strudels and smooth with a spatula. Bake for 25-30 mins. until center is just set. Remove bars from oven and gently spread pumpkin butter over top of bars. 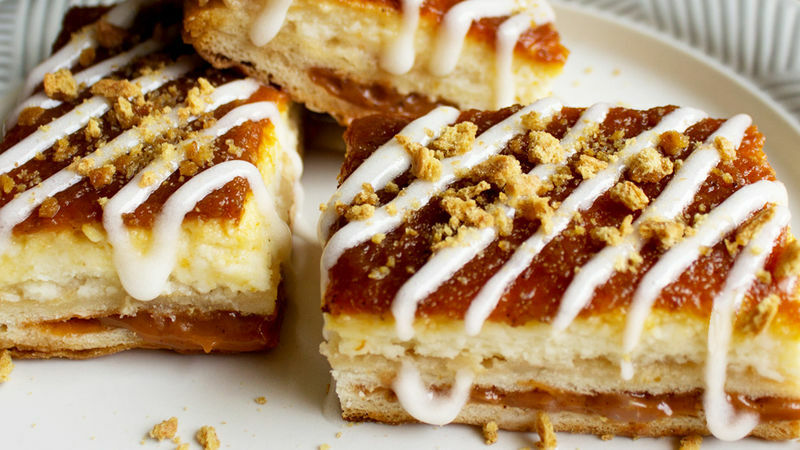 To serve, cut bars into squares and top with strudel icing and crushed graham crackers.